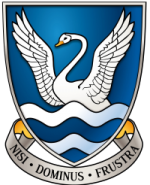 Glenlola Collegiate is offering an Open Day tour on Friday 1 February 2019 at 2.30pm for any P7 pupils and their parents who may have missed our Open Evening. Senior pupils will greet visitors at Reception for a guided tour of the School. The Headmaster will give an address at 3.00pm in the Senior School Centre.